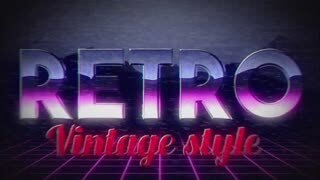 Search Results for "vintage logo reveal"
Retro 80s Animation. 14 seconds long. Old style animation to present your logo, invitation or music. Arcade Retro Gaming. Reveal your logo in a classic style.